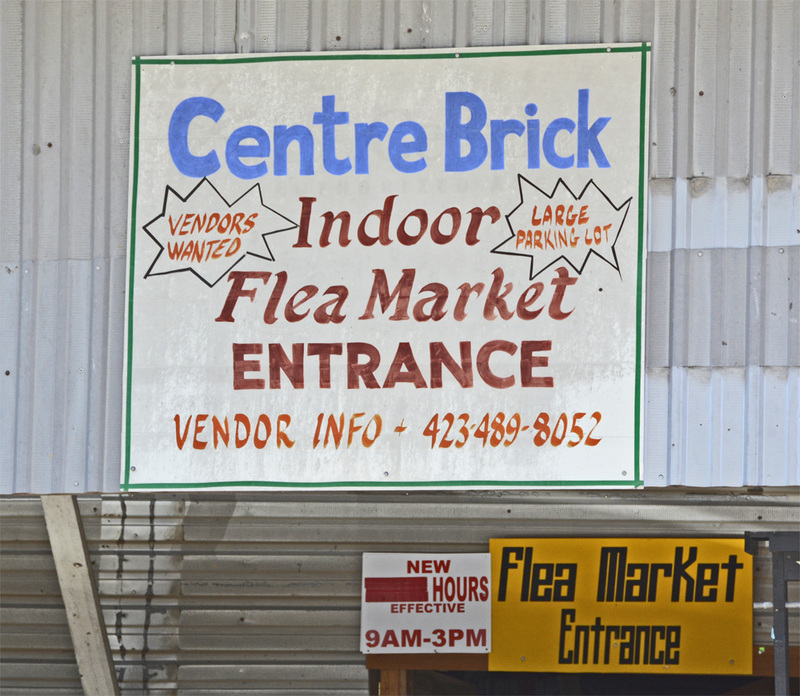 Centre Brick Indoor Flea Market, on Main Street, New Tazewell TN (Facebook) (page hasn’t been updated in a year). Around 1925 or so, a trio of businessmen, led by Sam Duncan, went to LaFollette to buy an abandoned steel foundry. They had it broken down and shipped to New Tazewell. It was reassembled (on a new foundation) to form a 15,000 sq. ft. tobacco warehouse, the first in New Tazewell. 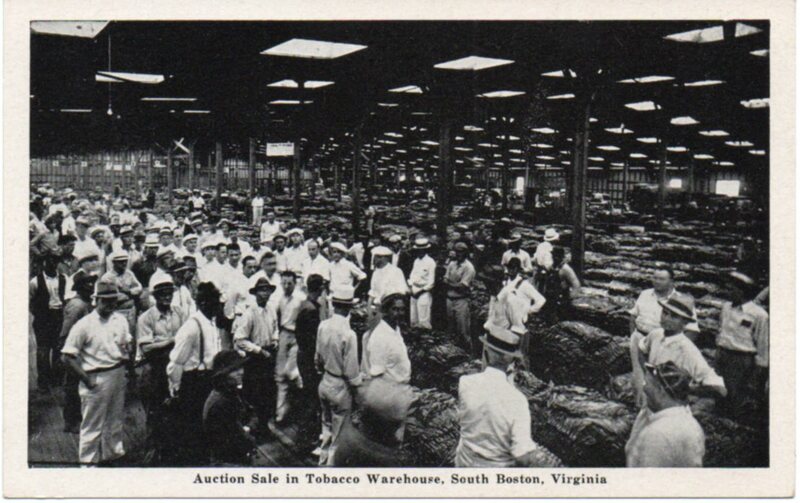 At the height of the tobacco trade (1950s), there were seven warehouses in the town. 15,000 sq. 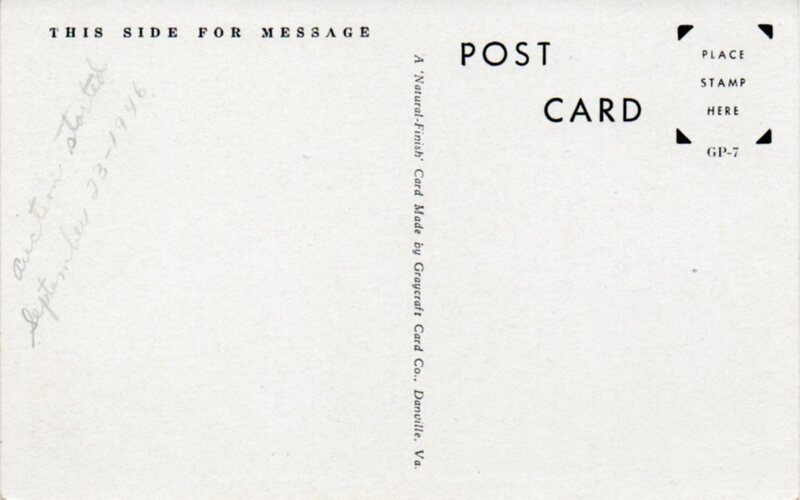 ft., btw, is about the size of a modern, free-standing outlet like a CVS or a Walgreen’s. This probably was the Centre Brick Tobacco Warehouse, dating from the 1930s and originally twice the size it is now. 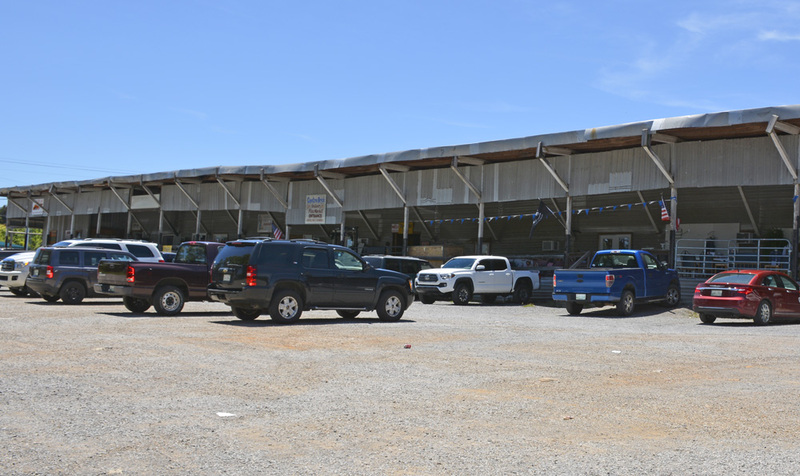 Half of the warehouse was torn down to provide parking space for the customers. 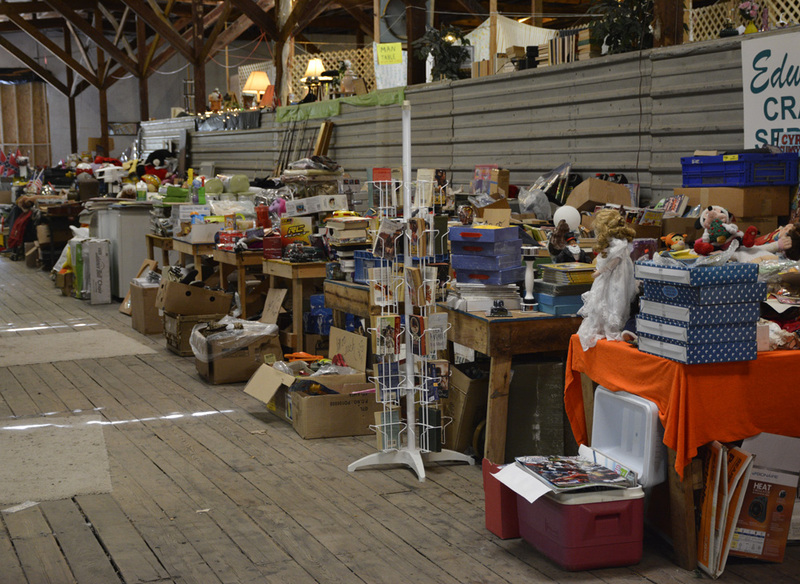 The flea market is managed by Tom McLaughlin. 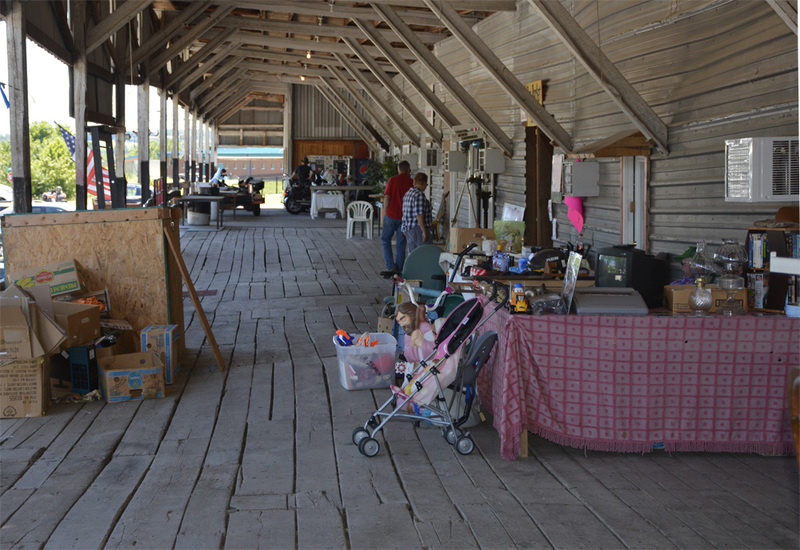 He says it’s busier when the temperatures get a little brisk for the outdoor flea markets. Incidentally, I remarked to Tom about the sturdy timbers that make up parts of the floor . He said the wood was so old and dense that it’s difficult to get a nail into it. This is a view of the porch, which was once an interior aisle.